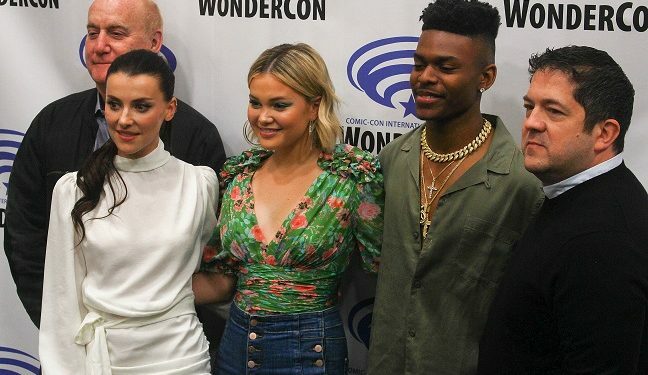 Marvel's Cloak and Dagger stars Olivia Holt, Aubrey Joseph, Emma Lahana and executive producer/showrunner Joe Pokaski returned to WonderCon just ahead of the season two premiere to share their excitement for what's promising to be an action-packed sophomore season. Everyone hinted at the twists and turns fans can expect in the season and the deeper character development (and the emotional toll) coming to terms upheaval in their personal lives viewers can look forward to playing out as events unfold and things get crazy. We've been on board with the show since the beginning and you can be sure our season two coverage will keep the goodness coming. This season, Marvel teamed up with several extremely talented comic artists to create art inspired by each episode. 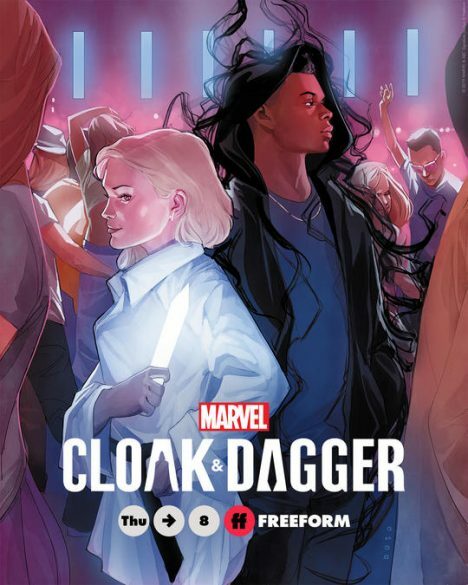 For the first episode, "Restless Energy," Marvel called in Phil Noto to feature, Cloak and Dagger. Episode two, "White Lines," was in the hands of illustrator Khary Randolph and colorist Emilio Lopez and put Detective Brigid O'Reilly front and center. Be sure to head over every week to catch the latest poster. 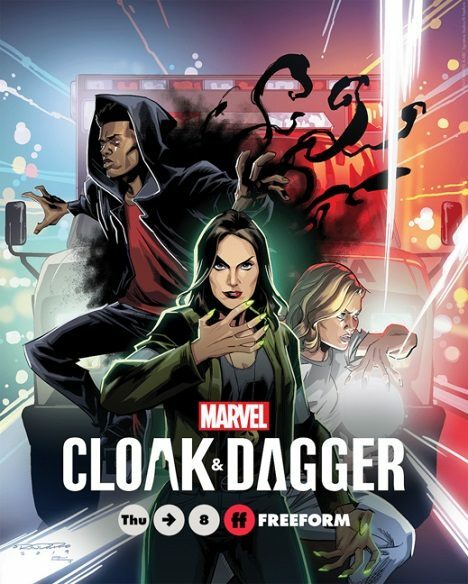 The second season of Cloak & Dagger premieres on Freeform with a two-hour episode on Thursday, April 4 at 8 p.m. EST/PST. Marvel’s Cloak & Dagger is a coming-of-age series based on the comic characters. Tandy Bowen (Olivia Holt) and Tyrone Johnson (Aubrey Joseph,) come from drastically different backgrounds, each hiding a secret they never dared share with another soul. The pair are thrown together and soon discover their newly awakened superpowers are linked to one another. This season, the pair must come to terms with their role as superheroes and the responsibility that comes with their gifts. The series is co-produced by Marvel Television and ABC Signature Studios. Joe Pokaski (Underground, Heroes) will serve as showrunner and executive producer, Jeph Loeb (Marvel’s Luke Cage, Marvel’s Iron Fist), Marvel’s Head of Television and Jim Chory (Marvel’s Luke Cage, Marvel’s Iron Fist) will also serve as executive producers.